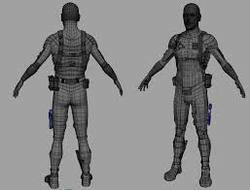 The approx price of 3D Character Modelling Service is 10000/- per model. 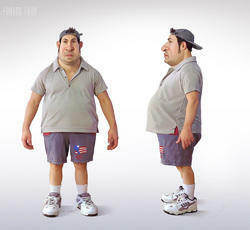 We are best in providing the character designing services like 3D character modelling. 3D modeling is the process of developing a mathematical representation of any three-dimensional surface of object (either inanimate or living) via specialized software. Creation of low poly 3D characters and objects as well as imagery for computer and video games. We are Leading Providers of 3D Character Modelling Services. We provide unprecedented quality 3D character modeling services for our clients. We create customised 3D character designs based on the character requirements by the clients.Our 3D characters are directly compatible with major animation softwares. This saves you time and effort while creating animations based on the 3D character models created by us. Owing to the rich industry experience, we are able to render Minion Character Services. To meet the varying desires of our clients, we are engrossed in providing highly reliable 3D Character Modeling Services. Trained under the command of capable personnel, these services are broadly recommended. In addition to this, our services are offered at market leading rates.